Critical conditions that can cause severe damage to your computing and communication infrastructures must be identified as early as possible and reported to the appropriate employees immediately. For example, a hotspot or high temperature within your critical network or server cabinet requires immediate action. Excessive heat in your server racks can lead to potential hardware failures and downtime causing disastrous effects on the availability of your installed network and server technologies in place. Events such as power failures, cooling failures, UPS battery backup downtime, water leakages or fires must be alerted to immediately. If these malfunctions or critical states are not identified and reported in a timely manner, costly downtime can occur. Therefore your mission-critical facilities should always be equipped with the highly reliable Didactum strobe light. 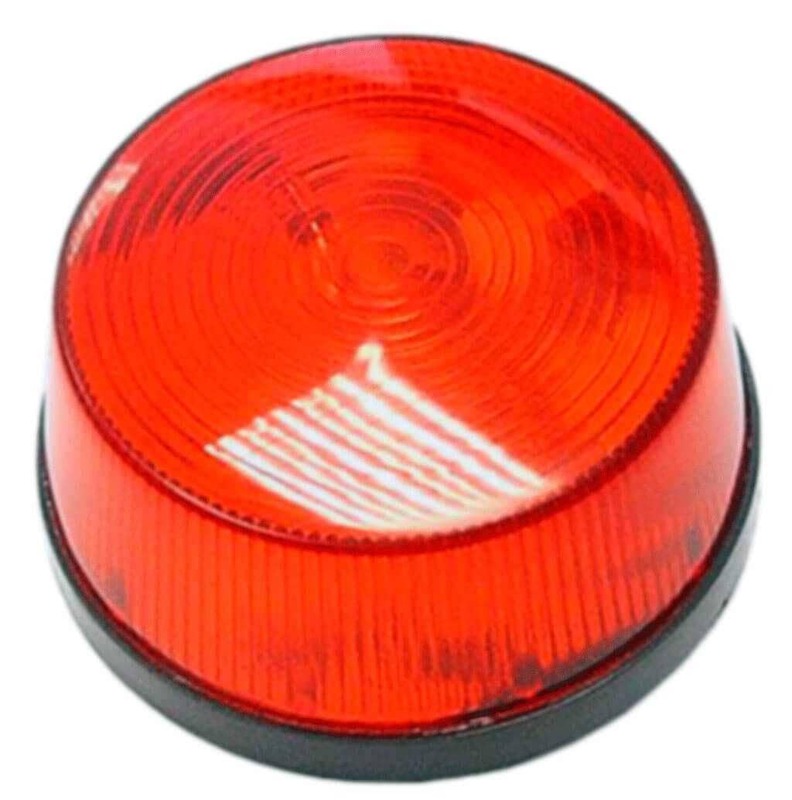 This flashing strobe light has been specifically developed for the SNMP enabled Didactum monitoring systems in any 7/24 environment for safety and power monitoring. The sensor includes a powerful integrated LED strobe light which indicates a highly visual alert condition. The triggering of the strobe light can be done manually or by the sensors connected to the Didactum monitoring device. Switching the state of digital / dry contacts can also be triggered by Didactum`s flashing strobe light. The configuration of the strobe light and the desired actions are easily setup within the web interface of network-enabled Didactum monitoring system. The application possibilities of Didactum`s flashing strobe light are very extensive. For example, the flashing strobe light can be triggered by the PIR motion detector when motion in computing room is detected.The opening and closing of server cabinets, doors or windows can also trigger the strobe light. The installation of Didactum’s alarm strobe light is very easy. Simply connect the RJ-11 connector into the 1-wire connection port of your Didactum monitoring system 500/500-DC / 600. The power required for the strobe light is supplied by the Didactum network monitoring system; no other power source is required. Related links to "Strobe Light"
Customer evaluation for "Strobe Light"